The Orchestra of the Royal Opera House was founded in 1946 on the reopening of the Opera House after World War II. The Orchestra plays for nearly all performances given by The Royal Opera and The Royal Ballet on the main stage of the Royal Opera House, under Music Directors Antonio Pappano (The Royal Opera) and Koen Kessels (The Royal Ballet). 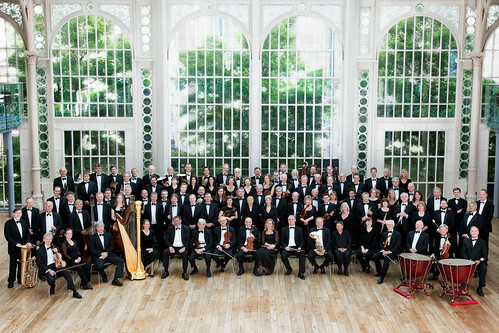 The Orchestra also gives occasional concerts, including a series of annual performances at the Royal Opera House with Pappano. The Orchestra has performed at worldwide venues including Birmingham Symphony Hall, Cadogan Hall, the Vienna Konzerthaus and on tour with The Royal Opera in Japan. In addition to their commitment to main stage productions, members of the Orchestra of the Royal Opera House play an active role in smaller-scale projects including many with the Royal Opera House’s Learning and Participation Department. As part of the Royal Opera House’s longstanding commitment to reach a wider audience, the orchestra can be heard accompanying The Royal Opera and The Royal Ballet for Big Screen events in the UK and cinema screenings transmitted worldwide. They also broadcast regularly on BBC Radio 3 with The Royal Opera. The Orchestra appears on many CDs, including Pappano’s acclaimed studio recording of Tristan und Isolde with Plácido Domingo and Nina Stemme. DVDs include the Royal Opera commissions The Minotaur, Anna Nicole and Written on Skin and the Royal Ballet commissions Alice’s Adventures in Wonderland and The Winter’s Tale, among many other Royal Opera and Royal Ballet productions.